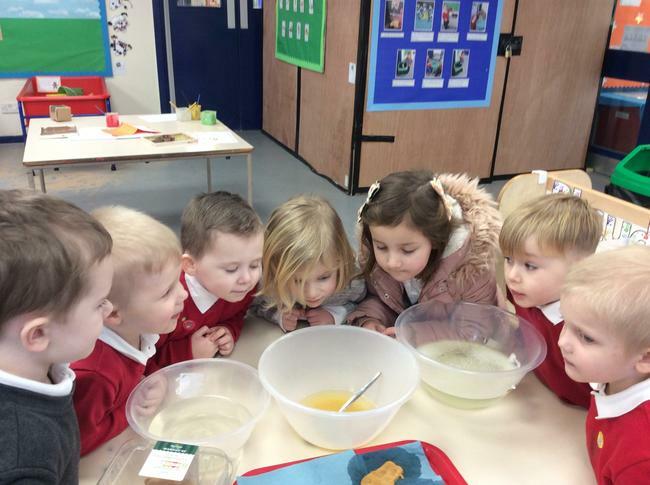 This half term the children have been learning all about the gingerbread man escaping from the little old woman. 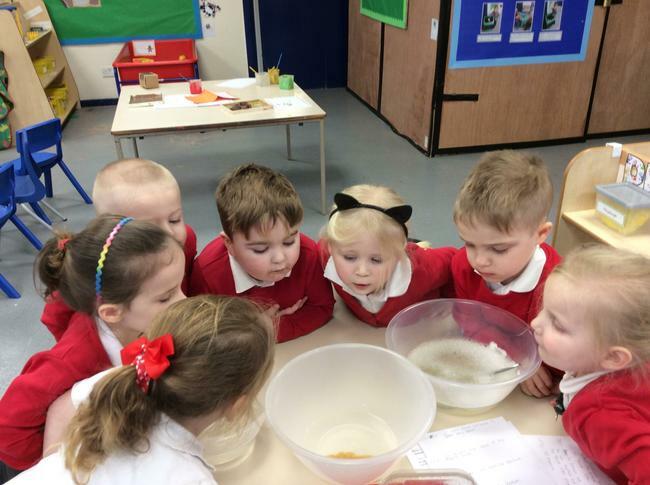 The children were concerned about the gingerbread man arriving at a river and wanted to find out what would happen if he fell into the water. 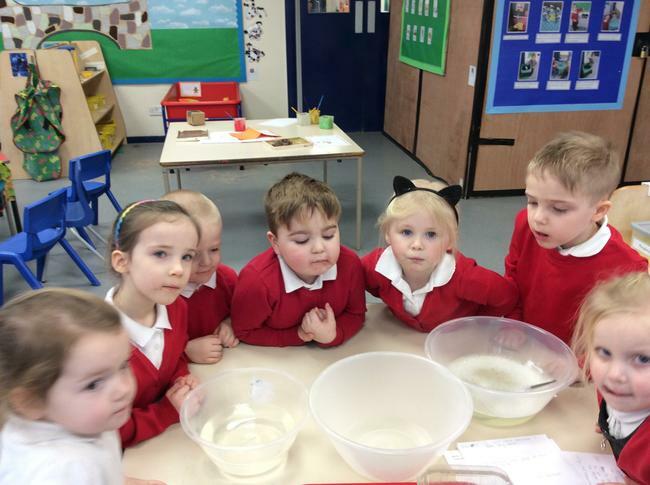 They became scientists and carried out science experiments putting him in a hot river, a cold river and a soapy river! 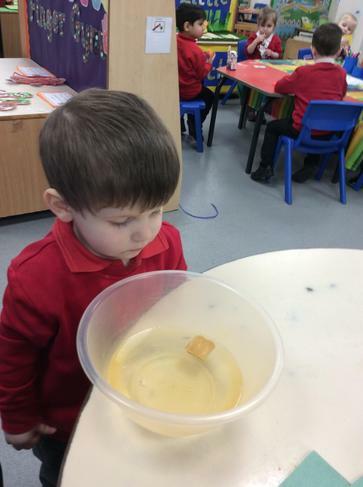 RLS have been doing their own science experiment to see what would have happened to the gingerbread man if he had; fallen in the washing up bowl, fallen into a cup of tea or fallen into the river. 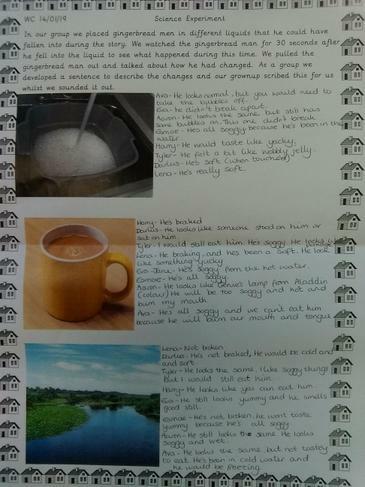 They made predictions about what would happen each time, they watched very closely to see what happened when he fell in and recorded their findings. 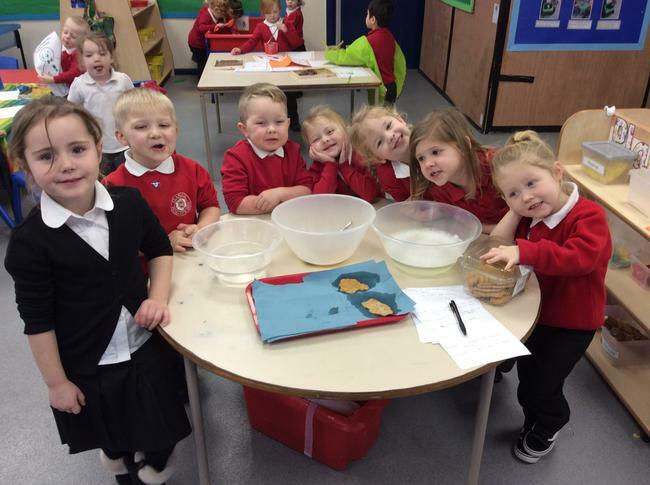 In Reception, we have been learning about the story of the Gingerbread Man. 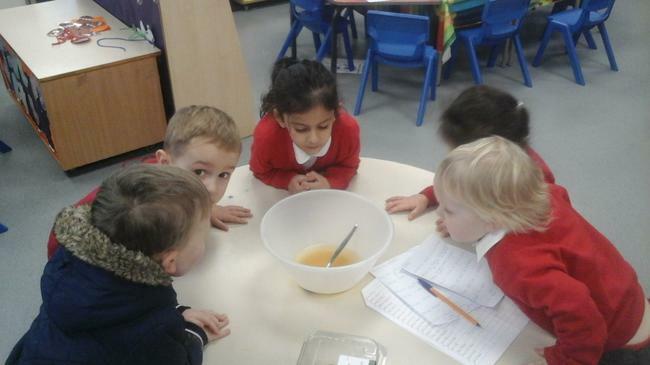 We learnt that the Gingerbread Man had to try to get across a river without getting wet. 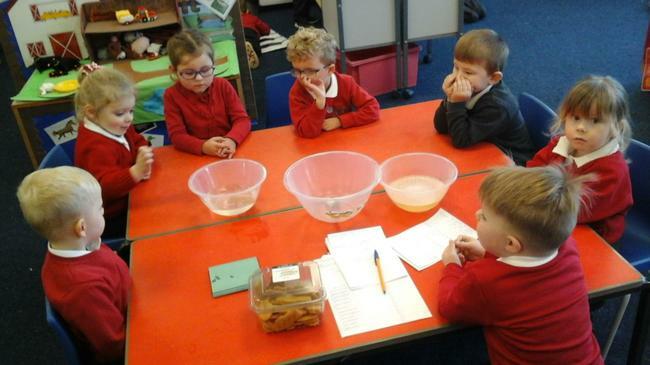 We decided to find out what would happen if the Gingerbread Man did get wet. We had containers of water; one hot, one cold and one soapy. 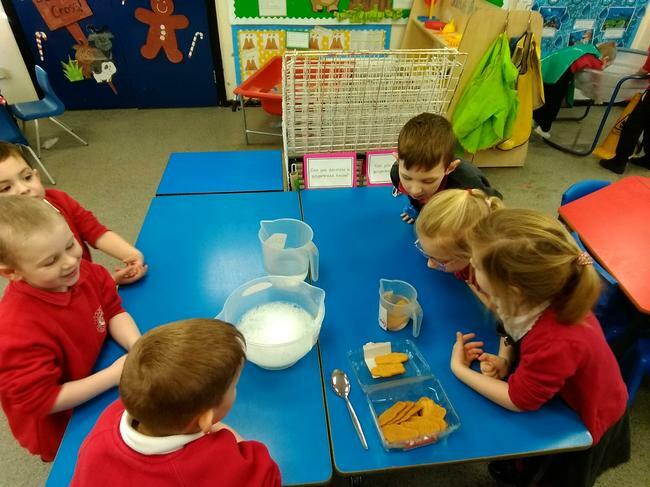 We thought about what might happen to the Gingerbread Man and then tested our ideas. 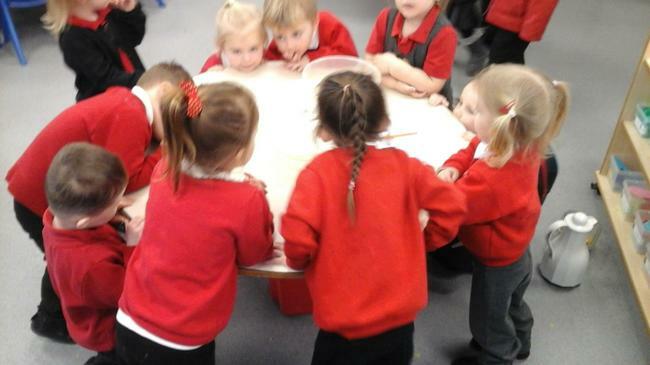 We have continued our theme of The Three Billy Goats Gruff this week. 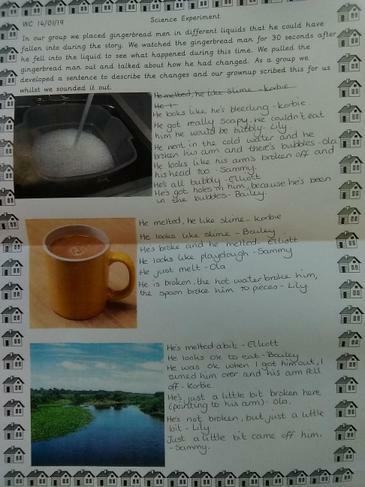 The children enjoyed hearing about the troll falling into the water and never being seen again! 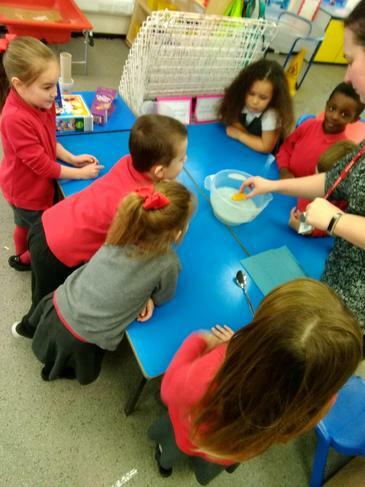 They carried out their own science experiment to find out which objects around the classroom would sink or float when dropped into water. They made some very good predictions.